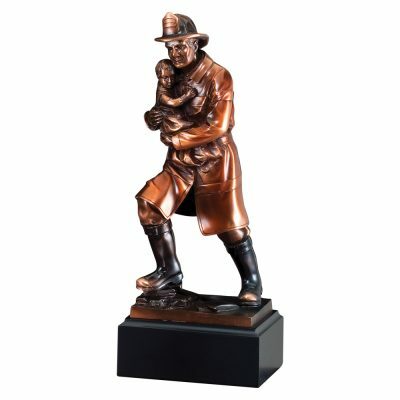 Honor the bravery of a special firefighter with this Firefighter Service Award featuring a Fireman Hero with a Child. This is made of bronze electroplated resin and features a black and bronze plate for your engraving. This fireman statue stands 11 ½” tall. A perfect award gift for a Fireman of the Year Award.